Visit Habu Temple, the Valley of the Artisans, and Valley of the Queens on private tour of Luxor’s West Bank that explores fascinating ancient art and architecture. 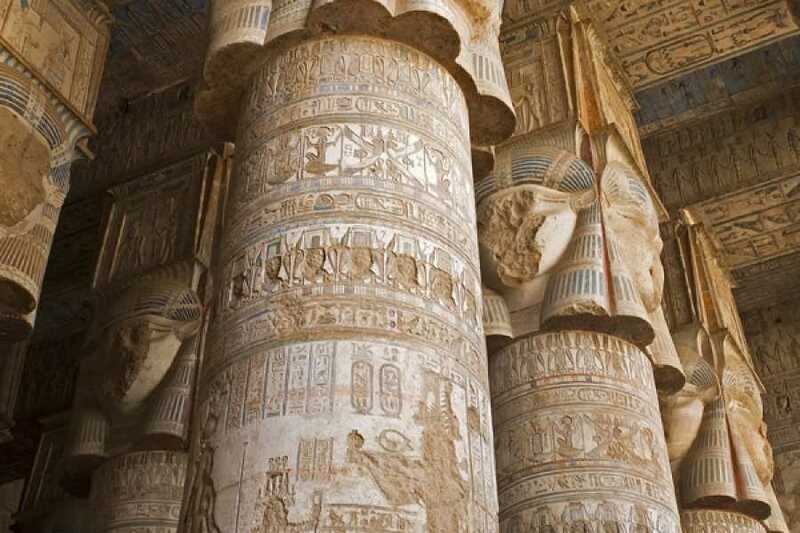 With a personal guide to lead the way, you’ll learn the stories behind the vivid paintings at Habu Temple, as well as tombs built for both workers and royalty. Since this tour includes all entrance fees, round-trip transport from your hotel, water, and snacks, it’s a hassle-free way to experience Luxor’s West Bank, the site of ancient Thebes. At 8:00 am you will be picked up from your Hotel or Nile Cruise in Luxor then you will be transferred by private a/c vehicle to the West Bank of the Nile where you will visit Medinat Habu. It is an archaeological locality situated near the foot of the Theban Hills on the West Bank of the River Nile opposite the modern city of Luxor, Egypt. Although other structures are located within the area, the location is today associated almost exclusively with the Mortuary Temple of Ramesses III The temple, some 150m long, is of orthodox design, and resembles closely the mortuary temple of Ramesses II (the Ramesseum). You will also be able to visit some other temples inside Habu Temple such as Temple of Amun dating to the 18th Dynasty, built by Queen Hatshepsut and Thutmose III. It has undergone many alterations and modifications over the years. Then continue your day to Deir el Medina, known as The Valley of the worker. Deir el-Medina is an ancient Egyptian village which was home to the artisans who worked on the tombs in the Valley of the Kings during the 18th to 20th dynasties of the New Kingdom period (ca. 1550–1080 BC) The paintings appear so fresh. You will be returned to your hotel in Luxor.